Aug. 11, 2018 6:00 a.m. 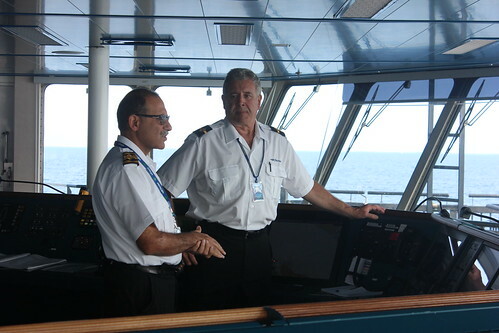 Passengers interested in seeing the engine room can request a tour by visiting the chief steward’s office. Mostafa Nateghi, senior chief engineer for Costal Inspiration, said staff are always happy to take people down to the engine room, provided they’re not busy. Nateghi said people may not truly appreciate how much maintenance work is required for the Coastal Inspiration, explaining that engineers are working on the ship even when it’s docked. He said the Coastal Inspiration and its sister ships are extremely complicated to operate and occasionally issues do happen. Over the course of the B.C. Ferries’ 58-year history, 58 babies have been born onboard a vessel according to Deborah Marshall, B.C. Ferries executive director of public affairs, who said when that happens the child automatically receives free ferry rides for life. The most common route for births is Port Hardy to Prince Rupert. CORRECTION: An earlier version of this article contained incorrect information. The Spirit class vessels are B.C. Ferries’ largest.